Nice view. Clean sheets and towels. Most of the employees are kind and try to be helpful. The staff was excellent. . . especially considering that it was the end of the tourist season and the few that remained on staff had to work hard and long while multi-tasking. The staff was really pleasant and kind, room was clean and tidy, location was really good, breakfast could have more variety but was good enough, really pleasant to rest and have some quiet. The staff allowed us to keep luggage after check out which helped us. We had dinner once at restaurant and the food was really good. 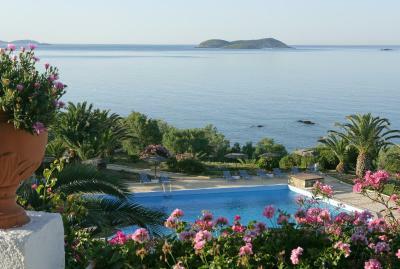 Completely recommend for some peace and quiet, amazing beaches and a wonderful island to visit. The people working there - friendly and always helpful! Excellent and very professional behavior! My perfect place for a holiday: convenient location, within walking distance from town, beautiful view, quiet place, clean rooms. The pool and the beach was lovely, clean and NOT crowded. 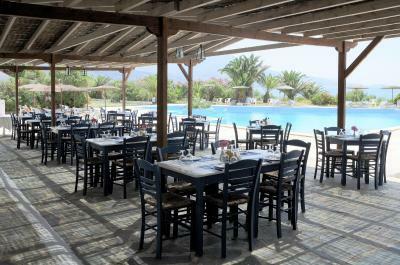 The food in the pool bar was the best! 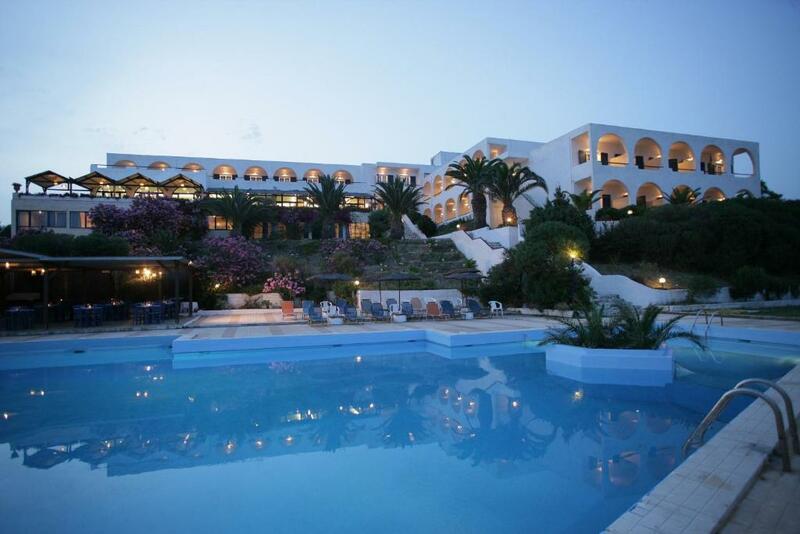 Andros Holiday Hotel This rating is a reflection of how the property compares to the industry standard when it comes to price, facilities and services available. It's based on a self-evaluation by the property. Use this rating to help choose your stay! 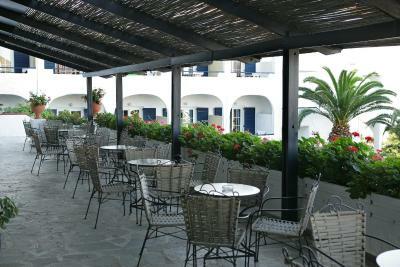 Enjoying a beachfront location, Andros Holiday Hotel offers a swimming pool, 2 restaurants, parking facilities and free wireless internet. 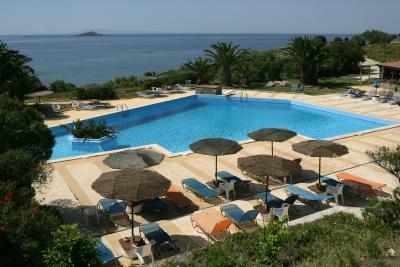 It stands only 1,650 feet from Gavrio. 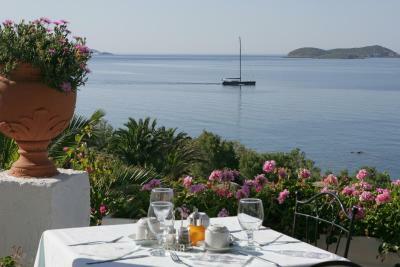 Andros Holiday Hotel offers a panoramic view of the Aegean Sea. 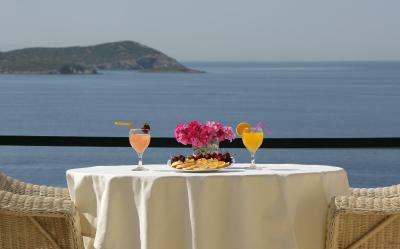 Its 78 rooms and apartments feature a private bathroom with hairdryer, refrigerator and a sea-view balcony. 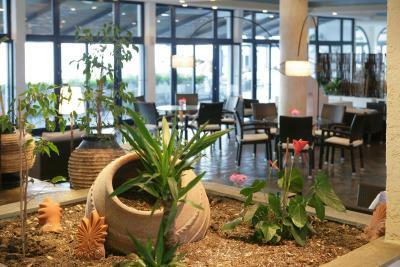 Tourist information, car rental, and many more services are provided at the reception, which operates on a 24-hour basis. 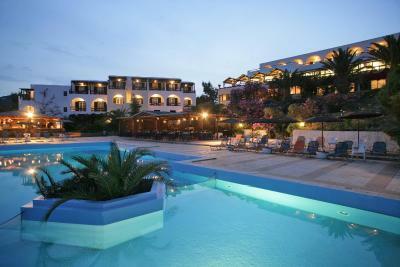 When would you like to stay at Andros Holiday Hotel? 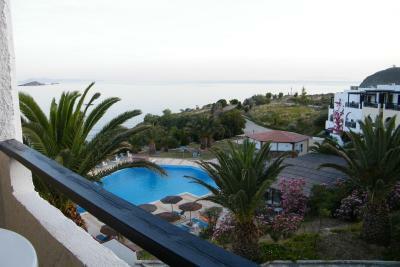 Featuring a terrace or balcony with a side pool or side sea view, this room has one double bed or 2 single beds. 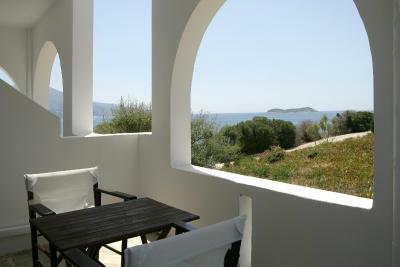 Featuring a terrace or balcony with a view of the Aegean Sea, this room has one double bed or 2 single beds. 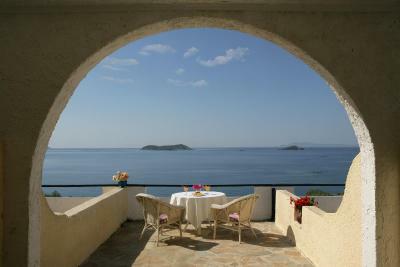 Featuring a balcony with a view of the Aegean Sea, this room has 3 single beds. 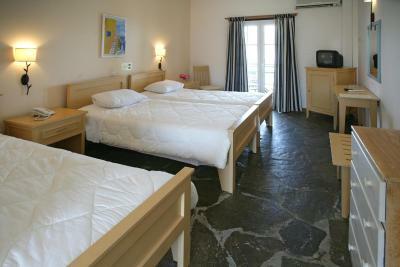 Featuring a balcony with mountain view, this room is fitted with 3 single beds. 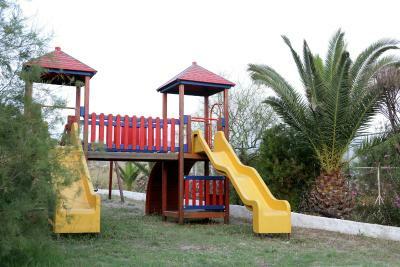 The dream of weaking up right on the beach, having a wonderful view to the Aegean Sea all day, comes true at Andros Holiday hotel! 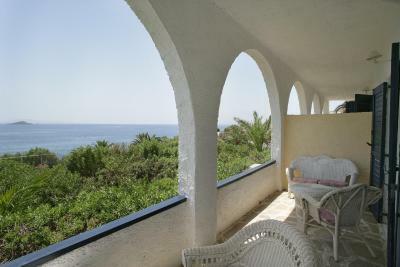 With birds and waves singing around your balcony! 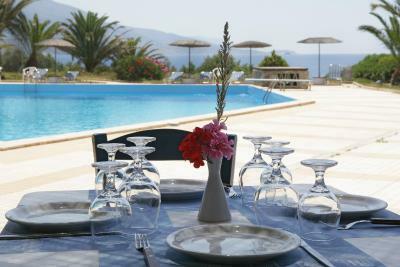 House Rules Andros Holiday Hotel takes special requests – add in the next step! 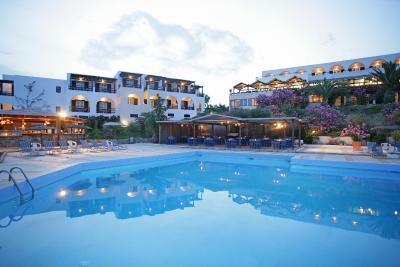 Andros Holiday Hotel accepts these cards and reserves the right to temporarily hold an amount prior to arrival. Please inform Andros Holiday Hotel of your expected arrival time in advance. You can use the Special Requests box when booking, or contact the property directly using the contact details in your confirmation. - We especially disliked the fact that the owner and his friend sat on their asses, drinking coffee and smoking cigarettes in the lobby/bar/dining area while casually observing the staff having to work extra-hard and fast to serve a large group of over 50 people. This occurred three days before closing for the season. Despicable owner attitude. - Rooms were small. - Internet wifi constantly unstable and frequently unusable. Very frustrating to use. - When the toilet flushed, disgusting heavy pressure splash-back was unavoidable despite a closed lid. 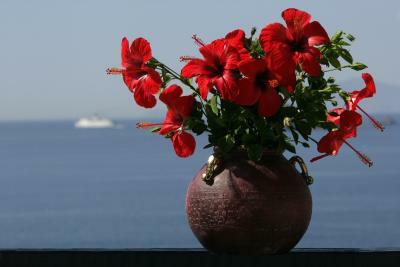 - When we booked online, there was no indication of imminent closure. 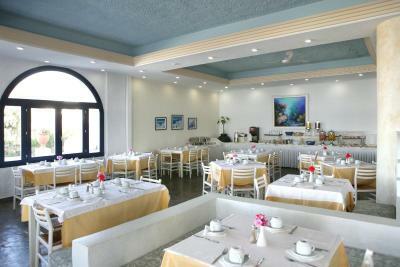 . . resulting in an unusable swimming pool and very limited dining menu options. The hotel facilities are a bit old; some of them need renovation. 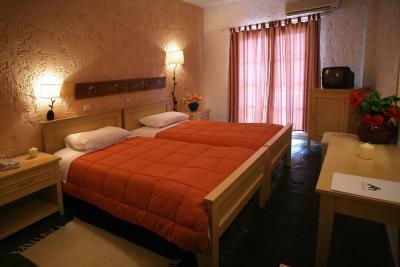 In addition to that, the cleanliness of the rooms can definitely be a bit better! 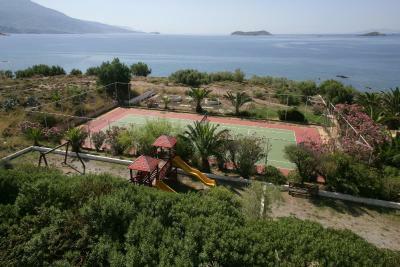 Lovely location within walking distance of the port with stunning views. Every single member of staff were friendly and helpful, the receptionists, the waiting staff and the Chefs, nothing was any trouble. 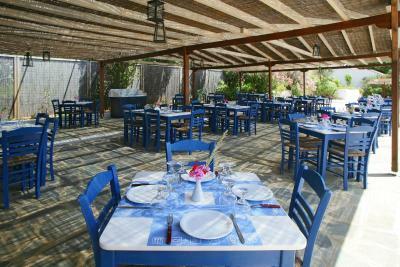 The on-site Pergola restaurant was excellent and some of the best food we have eaten all holiday. Although we had a problem with our room this was resolved. The hotel was built 35 years ago so expect some “retro features”. The WiFi signal was really poor (at least in the room we were staying at) so we would not recommend the hotel for business trips. The building is in need of renovation but that didn't bother us in anyway. It's the perfect location for those who want to relax during a 3-day getaway! 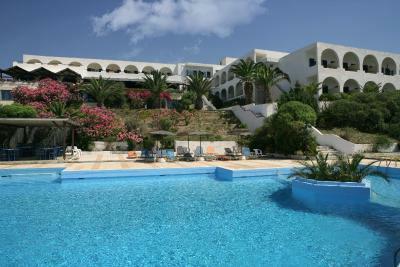 An all-inclusive hotel with rich breakfast, pool & poolbar, taverna with delicious food (and not as expensive as you would imagine a restaurant within the premises to be). The port is within walking distance. There's also a great cocktail bar very close to the hotel where we enjoyed the great view. The location is far from the port. Few minuetes walk. The hotel beach is tiny and has beds and umbrellas no other services. The front desk services are not to rely upon. Not enough vegetables nor fruits at breakfast. No milk substitutes. The evening restaurant is not good. The hotel looks a little run down, hopefully the management will do the necessary repairs. Once this is done, it'll be unbeatable! 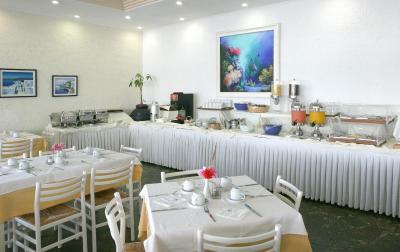 I liked the spacious breakfast room, the pool area, the trees, the serene ambiance. Would definitely go back.